Q: Hello. How much does a hair stylist charge to dread a whole head of hair that's 6 inches long? Or can I do it myself? Thank you. A: The cost of getting a dreadlock hairstyle started at a salon can be rather daunting. There have been quotes of prices ranging from $100 to $600 for the initial dreadlock styling (U.S. dollars). There is also a very wide variety of methods of getting dreadlocks in the hair which can take years in some cases for dreadlocks to form. 1. Wash the hair with a clarifying shampoo, and let it dry fully. 2. Section the hair into the section sizes you desire. The size of the sections will determine the initial thickness of the dreadlocks. Using sectioning will help you ensure even sizing of the dreadlocks as you work your way over the head. If you want a clean, squared look check out the head graph image. If you want a more random look I still recommend sectioning, but you can just grab random sections and band them off. Use rubber bands loosely to put the hair in sections. You are going to remove it before you backcomb, so just make it tight enough to hold the section. Keep in mind that thick hair will make bigger dreads and thin hair will make thinner dreads. 3. Start off in the back, because if there is an accident it's easy to cover up. Remove the rubber band, start at the root and push the hair towards the scalp. It is very important that you do not push too much hair up at a time or you will have loops in your dreads. A good tip for backcombing to create dreads is twisting. What you do is twist the hair and then backcomb through the twist, so the hair will stay in the knots a lot easier. When you start the dread, the hair might not look like it's knotting, but don't worry. This is normal. Sometimes it takes a couple strokes to get started. 4. After you have backcombed that section of hair, rubber band the tip and root, and wax it. Then start on the next section. 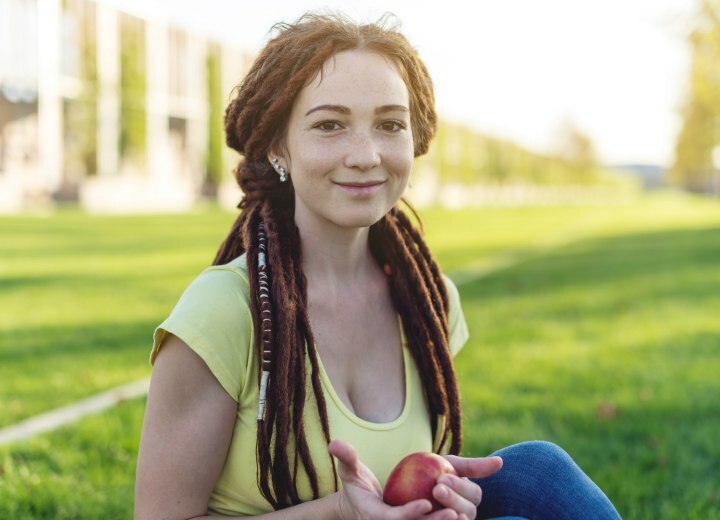 I recommend finishing the entire back before moving to the front, as practice will make you better able to create the dreads and the ones in front will look much better. 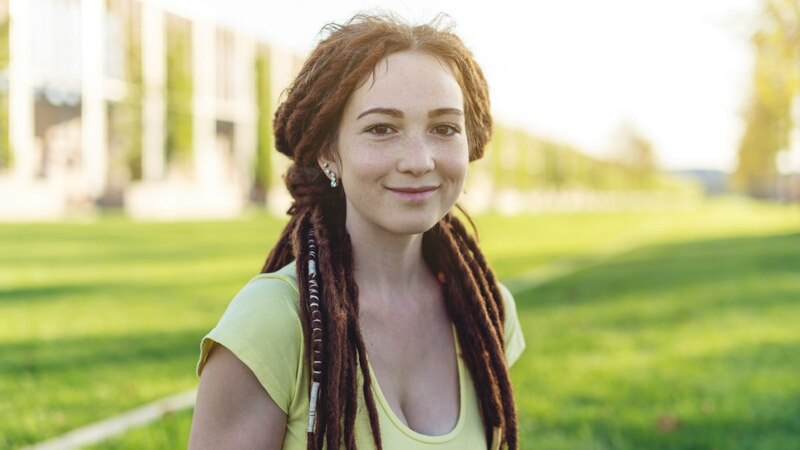 Is it possible to get dreadlocks when your hair is straight and thin? Can you add weaves or extensions to dreadlocks and make them permanent? Can you get dreads after a perm?